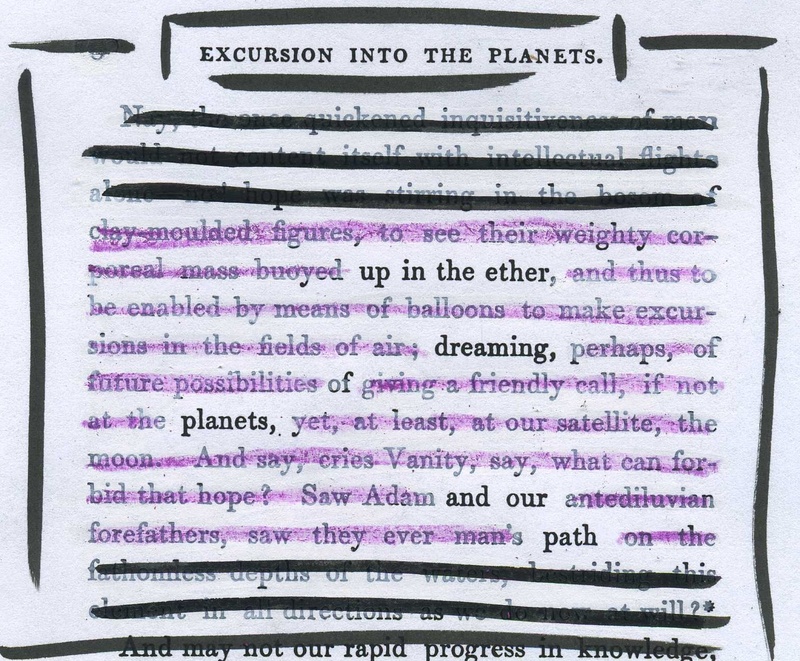 A page of the 1839 “A Fantastical Excursion into the Planets” redacted into a poetic fragment. 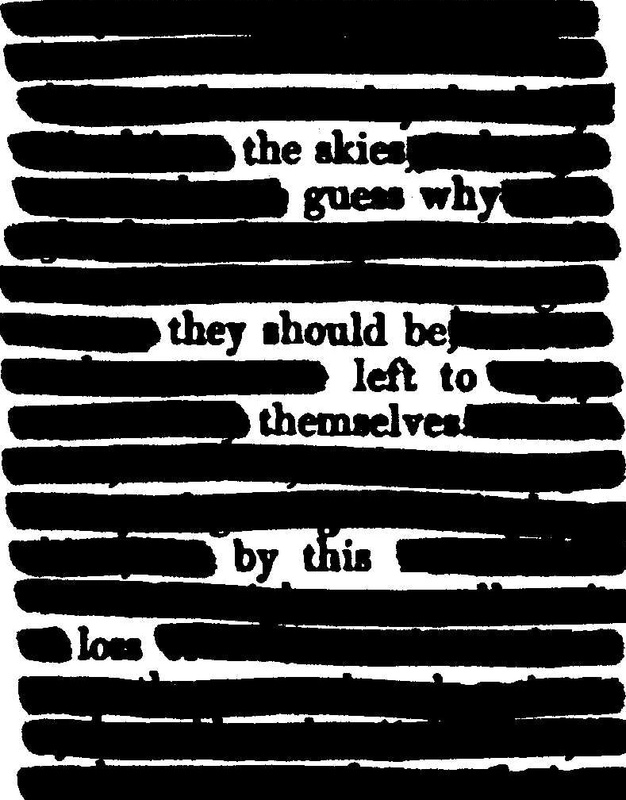 A page of the 1819 “Blackwood’s Edinburgh Magazine, Volume 5” redacted into a poem about the ongoing U.S. government shutdown (which impacts NASA). The U.S. government shutdown which began on Oct. 1, 2013 has impacted many government agencies, including NASA. 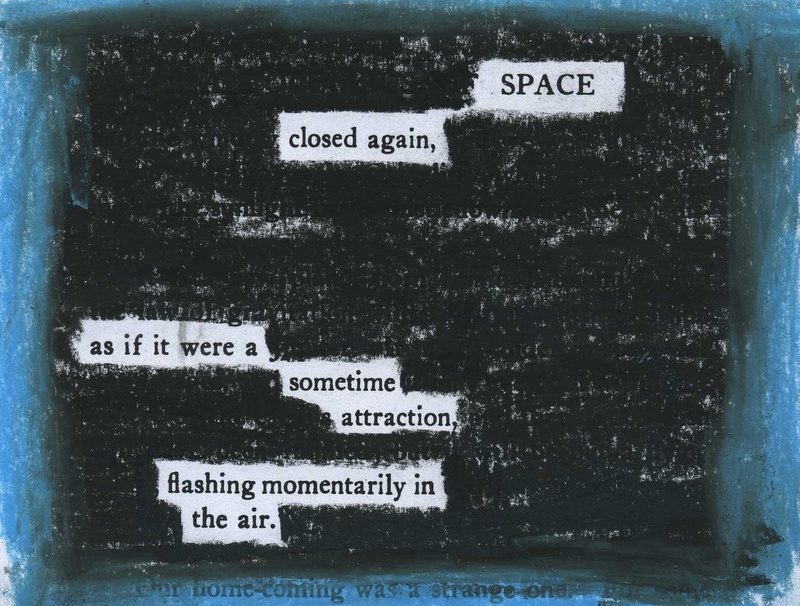 For this poem, I redacted an old text, “A Columbus of Space,” by Garrett Putman Serviss (1911).